Amazon have some great deals on at the moment. We have provided direct links to the games. Need For Speed, Assassins Creed, Call of Duty, Virtua Tennis, Fifa 13 and Rayman are all must haves. You can pre-order Soul Sacrifice for a steal at £30 as well as some other bargains. "We know that Sony will introduce the PlayStation 4 globally in 2013, but we are still waiting to see what Microsoft's final plans are. We have scenarios with one console introduction, as well as with two. Even a single launch in 2013 will drive double-digit console growth in 2014; and two launches would likely drive the console category north of 20% growth "
during a quarterly conference call with financial analysts this week. 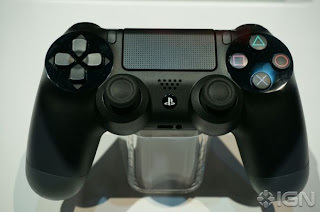 Reports have already suggested that PS4 production will begin in August and 16 million units will be shipped in 2013.